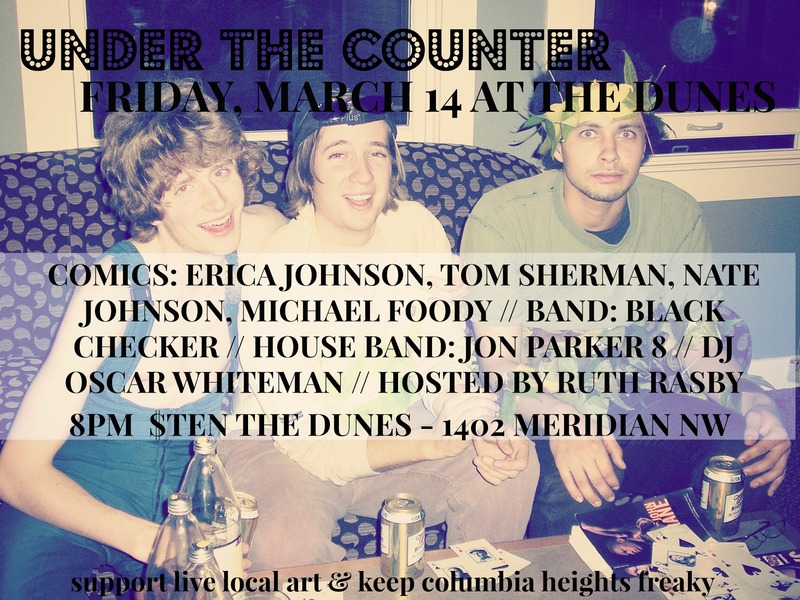 The monthly comedy + jazz + indie rock night Under The Counter returns to The Dunes in Columbia Heights this Friday night! As always with Jonathan Parker‘s Too Big To Fail Octet, this week featuring Linsay Deming! Have you wondered what Hometown Sounds podcast co-host Tony Porreco looks like in person? Or in the bath? Wonder no longer, thanks to the new video flyer!